Happy Fountain Pen Day! Fountain Pen Day is celebrated on the first Friday in November of each year. It began in 2012 to help embrace, promote and share the use of fountain pens in day-to-day life, and to help revive handwriting as a whole. Over the past 5 years, Fountain Pen Day has grown tremendously, and is now celebrated by over 10,000 pen enthusiasts. iPenstore is proud to share in the celebration of fountain pens. 1. Follow us on Instagram. Post a photo of your fountain pen on Instagram and tag us @ipenstore. Hashtag #iPenstoreFPD. You can do one or both! If you do both, you are entered twice! Contest Ends on Friday November 4, 2016 at 1pm EST. For more information on Fountain Pen Day, visit www.fountainpenday.org. 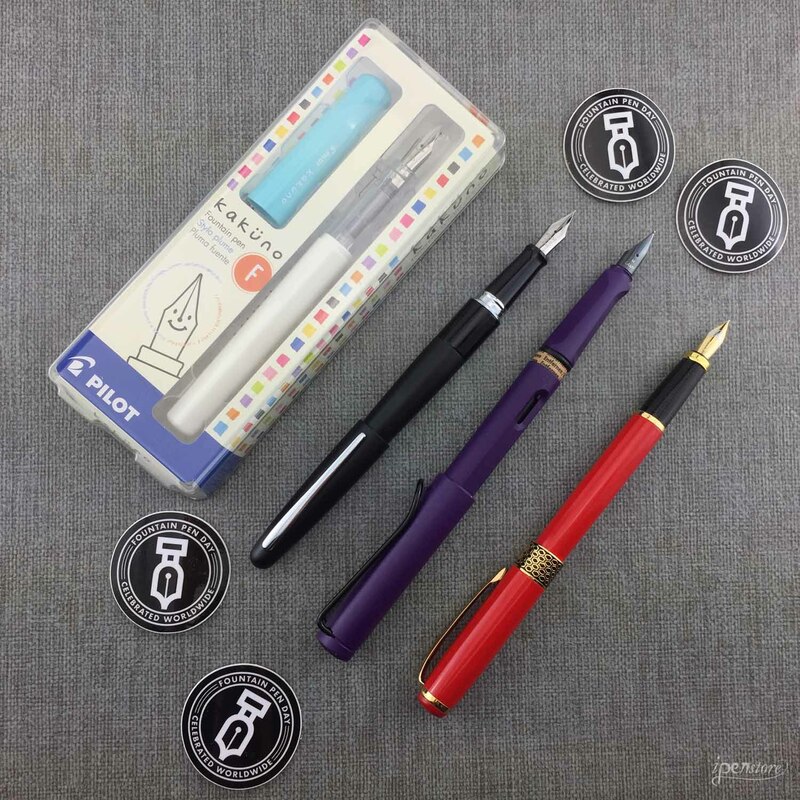 Do you have a great way to celebrate Fountain Pen Day? What would you like to see for future Celebrations? Let us know in the comments! How do those that are only on LinkedIn participate in this Fountain Pen Day celebration? Hi, unfortunately our only two options are Instagram and Facebook at this time. Our social media marketing strategy is evolving (and hopefully expanding), but for now we can only concentrate on those two platforms. Thank you for your understanding, and for the message! We will be sure to consider LinkedIn in our future plans.